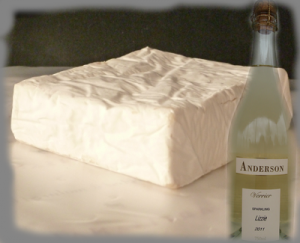 Camembert is one of those cheeses that I really like, True Camembert is made in the Normandy region of France with raw milk, unfortunately I won’t be getting to France too soon, luckily the Australian soft ripened Camembert’s are one of those yummy cheeses available today and what a nice drop to have with your Camembert – Anderson 2011 Verrier Sparkling Lizzie. The Old Gold Battery is situated North of Rutherglen, in the Parish of Carlyle not far from Barkly Suites. Its purpose is to crush Quartz recovered from quartz reefs in Rutherglen District to recover the gold. The first Government Battery erected for this purpose was started on 28th September 1899 and was located on the Gooramadda Road. The present Battery erected in 1908 is close to the Rutherglen Quartz Mine and surplus water from the mine was used by the battery. The Battery requires 3000 gallons of water to crush 10 tons of quartz. The battery consists of a five-head battery, Wilfrey table, Bergin pan, portable steam engine and shed. Total weight 27 tons. The first crushing took place on 23 December 1908. In August 1910 the steam engine was replaced with a suction gas engine of 16 horsepower, this enabled the battery to crush 10 tons of quartz in 16 hours at one-sixth of the cost of the steam engine. Electricity was connected to the battery in 1953.